On Omar Abdullah's statement, Azad held the PM responsible for bringing the situation to such a head that the NC leader was making such demands. 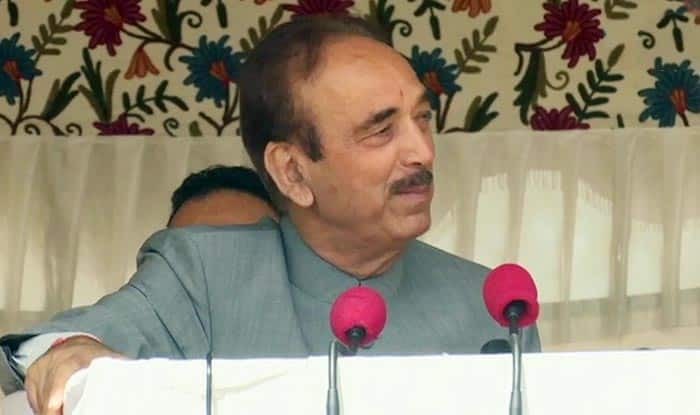 Kupwara (J&K): Taking off from where he had left a day ago, Congress General Secretary Ghulam Nabi Azad on Wednesday, in his speech in Kupwara, continued to attack Prime Minister Narendra Modi, holding him responsible for an escalation in tension in the state. Azad kicked off his party’s poll campaign in the state a day ago. In his speeches in Rajouri and Poonch, Azad targeted Prime Minister Narendra Modi for deteriorating security situation in the state. Defending Omar Abdullah’ statement on the restoration of pre-1953 status, Azad had blamed Prime Minister for creating such circumstances in the state that the NC was making such demands.